When someone says the word leprosy, many images and connotations spring to mind. These meanings have developed and accumulated throughout history, and even though most people in the world will have never actually seen the effects of the disease, they still use the word and its meanings in a variety of contexts. These accumulated meanings lie heavily on someone who is diagnosed with the disease. The longstanding power of the metaphoric resonance of leprosy gives leprosy more significance than it should have. People who have worked in the field and people who have suffered from the disease have worked hard to make leprosy mean no more than any other disease. Irrespective of this, its connotations continue to reverberate. In this section, I explore both the continuing history of the meanings attached to leprosy as a disease, the ways in which leprosy has been used as a metaphor for other things, and the deep-seated reasons why leprosy is so resonant. As such, this is an attempt to explain something of that heavy burden of accumulated representations that people encounter when they encounter leprosy. Warning: Because I am exploring the history of metaphors attached to leprosy, I will of necessity be citing the derogatory and in some cases vicious usage that has no place in our references to the disease and to the people affected by the disease today. Not only do the metaphors for disease assume their own autonomy, the physical body becomes a metaphor for the social body. I want to argue that with leprosy both dimensions of representation are in operation. The way the disease is represented and the way the disease is used for representation both have a powerful autonomy that has no respect for the lived experience of illness. The categories established around and including medicine, disease, health, and the body form a metadiscourse. They produce a language through which a society reveals how it understands and expresses itself. The ability of leprosy to obliterate the boundaries of human identity added to leprosy’s protean character and ensured its pandemic metaphoric potency. The Greeks developed a metaphoric repertoire that expressed this. Aretaeus writes that the disease is called “elephas … from its magnitude, leontium or morbus leoninus, from the supposed resemblance of the eyebrows to those of the lion; and satyriasis, from the venereal desires with which it is attended” (8). Alsaharavius, an Arabian writer, categorised varieties of lepra: leonina, elephantia, serpentina, and vulpine. Adams commented that, following Alsaharavius, the “earliest of our modern writers on medicine” described four varieties: elephantia, leonina, alopecia, and tyria (14). At this point, the ravages of the disease became coded as metamorphoses – a degenerative descent from human to animal including a moral descent, into uncontrollable venery. For Aetius, the disease was accompanied by a “strong venereal appetite” (10). For Galen, the whole appearance of the victim resembled “that of a satyr” (10). It was also described as a cunning predator: “escaping notice at first, being deep-seated and preying upon the vitals …” (8). For Aetius, it is “insidious, for it begins in a concealed manner internally, and does not make its appearance upon the skin until it is confirmed” (10). By the nineteenth century, leprosy has become a disease that can be contracted in the colonies and threatens a resurgence in Europe. The enduring power of the metaphoric resonance of leprosy is encoded in Erasmus Wilson’s case studies of eighteen Europeans and one native of Hindustan who had all lived in either India, Ceylon, Mauritius, or the West Indies. (Wilson 231-44) Each emerges as a narrative of a life and sometimes death, charted over time with the marks of disease and categorised according to race, gender, age, pursuit, and predecessors. These cases (along with a number of others) were circulated and recirculated in the debates about the disease which took place after the release of the Report of the Royal College of Physicians and up until the turn of the century. These descriptions tell us more about anxieties to do with colonization, underlying concerns about miscegenation and degeneration in the tropics than they have to do with the actual disease. The collective effect of the symptoms of these cases is of a metamorphosis in disposition and physical appearance – a degenerative descent in which they are captured, in the case study, poised on the boundary between what constitutes a human being and something else. A mother notes alterations in “the appearance of (a child’s) countenance” (235) and a change in behaviour: “He shunned amusements; was fond of sitting alone and secluding himself” (235); the features of another developed changes which “gave an occasional gleam of savageness to his countenance” (237); another’s vital functions seem to slow down to the extent that she experienced “coldness of extremities … and a certain listlessness, heaviness, sleepiness, and indisposition for exertion of every kind.” (238) Another was “listless and dull in his manner” (238) and yet another was “dejected, listless, and melancholy”, unable to sleep at night and sitting for hours during the day “without occupation and without attempting to make any exertion” (238). Evidently incursions into the Empire were fraught with peril. Children, young men, young women, and old and distinguished men were not safe from becoming afflicted with leprosy: the inevitability of reversion and degeneration were embodied in the transformations brought about by this disease. Leprosy made “Other” to the extent that the boundaries of what delineated a physical body were compromised, and this frightening and inexplicable process was simultaneously animalised, demonised, and conflated with “going native.” The storehouse of images or stereotypes at the end of the nineteenth century became externalised in leprosy, in the unfortunate person who had departed just like anyone of “us” from Great Britain, and, after a period of dwelling in the colonies, emerged transformed in the most terrifying and unimaginable way. The price to be paid for venturing away from “home” was loss of the defining characteristics that gave one entry into society and established one’s social identity. The marks of leprosy heralded a lingering process of dying in which one’s vitality lessened in agonisingly incremental degrees. If, as Sander Gilman argues, the representations of a disease provide insight into the sense of loss of control of a society, then the rich storehouse of stereotypes offered up by leprosy must indicate a genuine moment of Imperial anxiety during which the integration of the identity of the group was subjected to stress: “From a wide range of the potential models in any society, we select a model that best reflects the common presuppositions about the Other at any given moment in history” (20). Fear about illness and the corruption of the self, in the form of leprosy, was projected onto others so that the colonial world was “seen as both corrupt and corrupting, polluted and polluting” (23). Disease, with its seeming randomness, is one aspect of the indeterminable universe that we wish to distance from ourselves. To do so we must construct boundaries between ourselves and those categories of individuals whom we believe (or hope) to be more at risk than ourselves. These bounded categories are invested with all of the raw intensity of our pre-Oedipal selves. 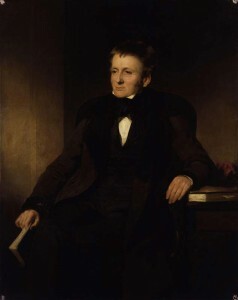 In The Infections of Thomas de Quincey, John Barrell claims that De Quincey was terrorised by fear of “an unending and interlinked chain of infections from the East, which threatened to enter his system and to overthrow it, leaving him visibly and permanently ‘compromised’ and orientalised” (15). De Quincey’s fears were not literally diseases, but they were envisaged as such: “The ‘oriental leprosy’, ‘oriental cholera’, ‘oriental typhus fever’, the ‘plague of Cairo’, the ‘cancerous kisses’ of the Egyptian crocodile: the fear and hatred projected on to the East kept threatening to return in one such form or another …” (16) These disease threats, metaphors for an orientalism that was perceived as threatening to swamp the vulnerable Imperial self, were irrevocably entangled in involutes of personal associations, guilt, and fear. A disease, which was perceived as quite literally “Oriental” in origin, but also with the potential to make utterly “Other,” to Orientalise, could only indicate vast reservoirs of fear and anxiety in the society which organised itself to recognise, contain, and incarcerate it. Francis Adams, The Seven Books of Paulus Aegineta: Translated from the Greek with Commentary Embracing a Complete View of the Knowledge Possessed by the Greeks, Romans and Arabians on All Subjects Connected with Medicine and Surgery, 3 vols. (London: Sydenham Society, 1846), p. 1. In Paulus Aeginta, in Adams, regimes which governed what entered or left the body and bathing and anointing were recommended: purging and vomiting in the appropriate seasons, draughts before meals, the flesh of vipers boiled in white broth (3), massage with the grease of a boar, wolf or goat (3), eating barley bread, potherbs, beet, lettuce radish, leeks, cabbage and capers, and natural sea baths (5). John Barrell, The Infections of Thomas De Quincey (USA: Yale UP, 1991), 16. Susan M Di Giacomo, “Metaphor as Illness: Postmodern Dilemmas in the Representation of Body, Mind and Disorder,” Medical Anthropology 14 (1992): 109-37. Sander L. Gilman, Difference and Pathology: Stereotypes of Sexuality, Race, and Madness (Ithaca and London: Cornell U P 1985): 18-19. Sander Gilman, Disease and Representation: Images of Illness from Madness to AIDS (Ithaca and London: Cornell UP, 1988): 4. Randall Mc Gowen, “Review Article: Identifying Themes in the Social History of Medicine,” Journal of Modern History 63 (1991): 81-90. Susan Sontag, Illness as Metaphor and AIDS and Its Metaphors (New York: Doubleday Anchor Books, 1988). Erasmus Wilson, “Observations on the True Leprosy or Elephantiasis, with Cases,” The Report of the Royal College of Physicians, 231-44. Wilson prefaces the individual cases with a summary of the enabling conditions for the disease along with a discussion of the difference between leprosy and syphilis. From his observation of the cases living in countries in which the disease is endemic “predisposes to its attack, while birth in an infected country takes the place of long residence.” All are Europeans, except one, and all from the colonies: a sixteen year old boy, born in Ceylon and vaccinated, for smallpox, with attenuated bacteria from a native child; a young man of seventeen years, born in Bombay; a 21 year old male, born in Jamaica; a young woman who had been living in Mauritius; a 43 year old captain in the Indian army; a 60 year old man “in the judicial service of India” who had lived in the East for nearly 20 years; a captain in the Indian army; a 60 year old colonel who had lived in the West Indies; a 26 year old wife of an officer in the Indian army; a 19 year old Hindostan woman; a young medical officer in the Indian army who had originally contracted syphilis; “one of the chiefs of the Bengal medical establishment” (242) who had lived in India for 40 years; a merchant in Mauritius for 29 years; and the older brother of the sixteen year old.